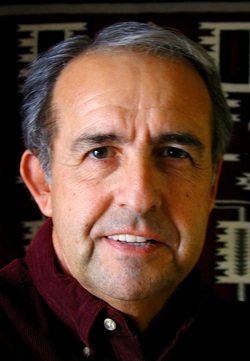 Michael Cassity has followed a career as a history professor at the University of Missouri – Columbia, the University of Kansas, and the University of Georgia. At the University of Wyoming he was Associate Professor and then Professor and exercised administrative responsibilities as Assistant Dean and Coordinator in the School of Extended Studies and Public Service and also served as Adjunct Professor of History. The Wyoming Council for the Humanities presented him its 1993 Wyoming Humanities Award for fostering the public humanities in Wyoming. The State Historical Society of Wyoming recognized his efforts to preserve an important feature on the Oregon – California Trail (Red Buttes, west of Casper) with the L. C. Bishop Award. His UW classes in the summers that took students on (and off) the road across the state to explore on-site the issues surrounding Wyoming's emigrant trails, fur trade, and Indian conflicts was recognized by the Western Area Summer School Administrators as the Most Innovative Course in 1986. A former president of both the Wyoming State Historical Society and the Wyoming Association of Professional Historians, he is currently in private practice as a historian and photographer. Michael Cassity has written or co-authored seven books examining the dynamics of social and economic change in American history, numerous special studies for government agencies at local, state, and national levels, and many ﻿articles on American social history﻿ in scholarly and popular publications ranging from The Journal of American History (1979, 1994) to local newspapers in Wyoming (especially 1990) to the literary journal Southwest Review (1976) to even The American Rifleman (1978) and The Rangefinder: The Journal of Professional Photography (1992). His work in historic preservation has resulted in the successful nomination of more than thirty-five individual historic resources to the National Register of Historic Places, the designation of a National Historical Landmark (Murie Ranch Historic District), the documentation of a Historic American Engineering Record coal mine resource, and the preparation of surveys of historical resources in a variety of communities, counties, and states as well as preparing statewide Historic Context statements focusing on (1) Wyoming homesteading, ranching, and farming; (2) Depression-era work relief projects in Wyoming; and (3) U.S. Route 66 from Chicago to California. He has spoken widely to academic and public audiences, often using his photography as well as historical analysis. See his photography, much of it related to his historical research, at www.michaelcassity.com.